Dava's Jazz Grip Combo pack contains 2 each of the delrin, nylon, and gel jazz size models. 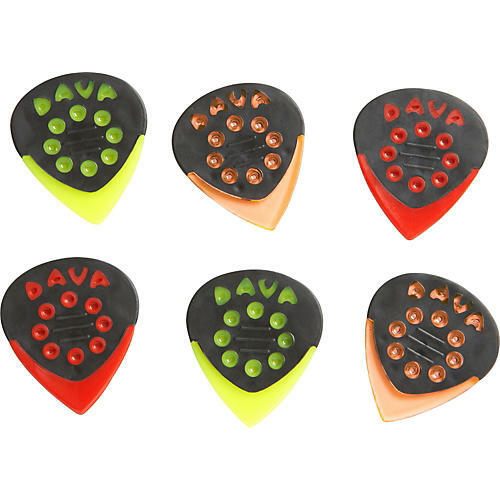 Made from delrin, nylon, and polycarbonate gel, and in a size players are used to for a jazz pick, Dava Jazz Grip picks combine a sharp tip with a rubber grip. Now get the control a precision needed to perform the fastest runs without the fear of dropping your pick.